As the rain continued to batter the lower mainland, we decided that we had to get out of our cocoon in the camper & trailer, even if it meant getting wet. With it being Culture Days in Canada, we were able to find some neat FREE activities going on in historic Steveston (a part of Richmond, B.C.). 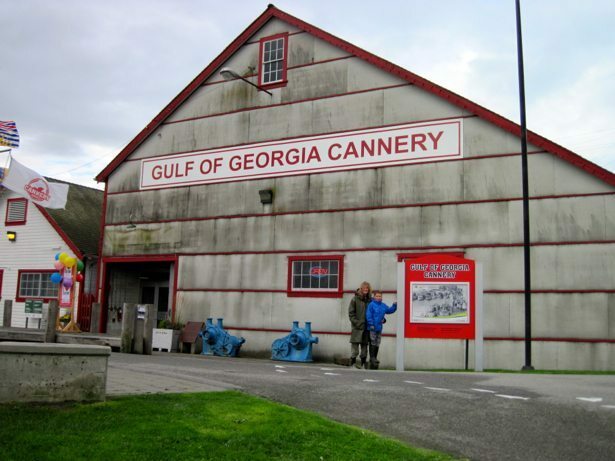 We started with a behind the scenes tour of the Gulf of Georgia Cannery and it was AMAZING – so much history that we were totally oblivious to. It made us really curious about the historic fishing industry as well as all of stories behind the Chinese and Japanese immigrants. After that we wandered (in the constant rain) down the Steveston boardwalk towards the Britannia Heritage Shipyard. 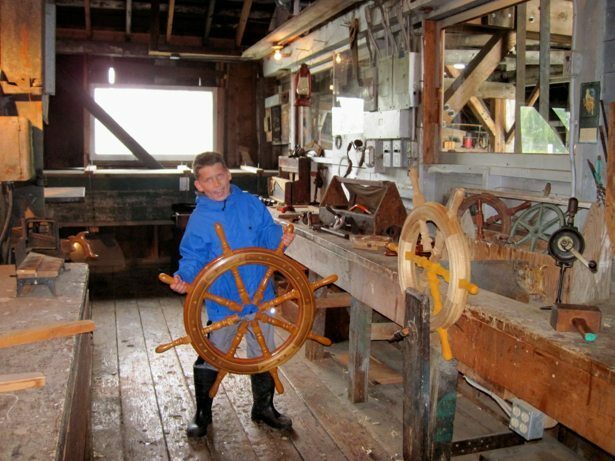 The shipyard has had a long and storied past, which was fascinating. It started life as a cannery and then evolved to a Shipyard after there were supply issues back in the early 1900’s after some issues with the riverways. 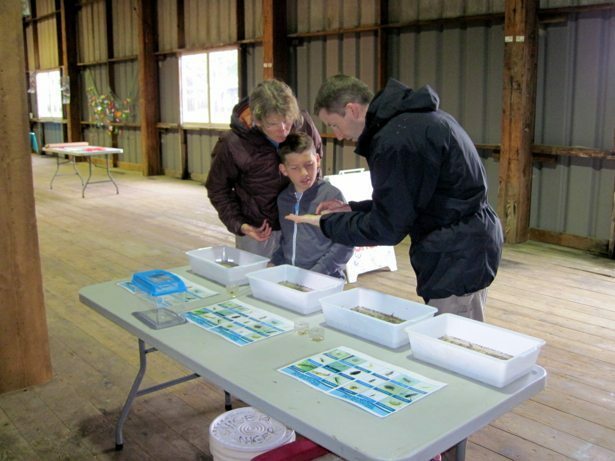 The City of Richmond was also using this location to celebrate BC Rivers Day so we got to do some really fun things, mostly out of the rain! Hunter was fascinated with the Origami station and learned to make a broad number of shapes (frogs, hearts, ships and small bags). 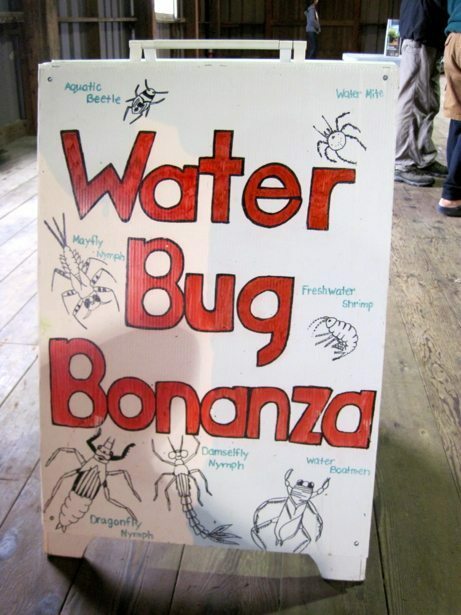 We also learned about bugs that exist in the various rivers – seeing the microcosm of life in one or two scoops of water was pretty cool, especially under a microscope. Once we warmed up again, we continued our exploring amongst the old Shipyard buildings, checking out the old bunk houses and wood working shops. 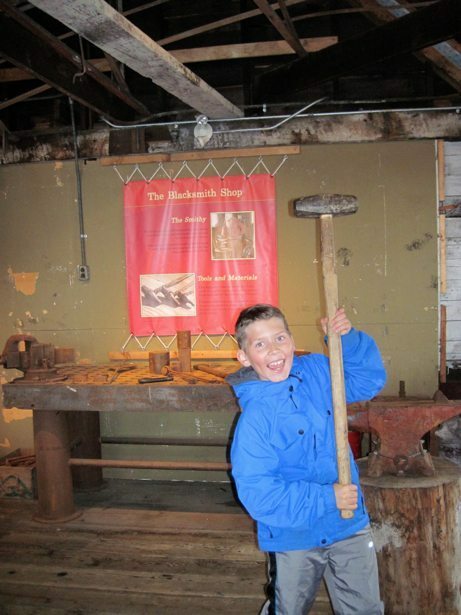 Even with the cruddy weather, it was a great day and we totally recommend that people check out Historic Steveston. The Cannery is at one end of the boardwalk and the Britannia Heritage site is at the other. It’s an easy 20 minute walk in between with lots of shops and restaurants (with amazing seafood) to keep you busy in between. The guided tours at both facilities are well worth the investment.